A truculent water supply, which seems almost vindictive in its choice of times to splutter and fail, is something we’ve grown used to over the few months we’ve been in Turkey. Mid-shower is a favourite or perhaps shortly before the preparation of a meal. However, although inconvenient, enforced dry periods never seem to last all that long; besides, we’ve learned to keep a large, plastic bottle of water squirrelled away – enough to rinse hair full of shampoo, fill a saucepan or boil a kettle. It was therefore only in passing that I mentioned the latest hiccup to neighbour Mehmet when he popped round the other day. After all, it seemed a good idea to establish if the problem was village-wide or confined to our house. But I should have known better. Before I could assure him we had contingency plans, Mehmet was on his feet and heading for the outhouse and its wheezy, unreliable pumps. I tried to persuade him it wasn’t necessary to start tinkering with the machinery in the cobwebbed recesses of the ramshackle shed but he had the door open before I could stop him – and he immediately took a step back. As it has the last half-dozen times I’ve had cause to enter the outhouse, the large rat which has taken up residence in the tin-roofed building scuttled along a tool shelf and squeezed through a narrow hole – the entrance to its inaccessible den somewhere in the wall cavity. We have two cats so I had been hoping, over time, they might fulfil the expected role of rodent assassins and I wouldn’t have to get involved in disposing of our latest guest. But now the rat’s existence was known to others and my own role as man of the house was once again in question. “You see that …?” demanded Mehmet. “Erm … what?” I asked, in the vain hope I could get away with what was coming next. “A big rat!“ replied Mehmet with obvious disgust. “You must kill it or it find its way into your house. It eat electric wires,” he added with graphic hand gestures to illustrate sharp little teeth nibbling cables. “I haven’t got anything to kill it with,” I countered. In silent reply, Mehmet reached across to the shelf in the shed and lifted down a rat trap I’d never noticed. “You put cheese here. Rat eats – and then SNAP!” Mehmet explained patiently. To be honest I had seen similar contraptions before; it was a humane trap which, if it worked, would successfully curtail the roamings of our resident rodent – but without killing it. “So, once it’s in the trap, what do I do with it?” I asked, in the hope Mehmet might know some quiet place where rats could be released without heading for the nearest property. “You fill bucket with water and …” another hand gesture made it clear where the phrase “drowned rat” may have come from. It’s now five or six days later – and I still haven’t set the trap. It’s not that our resident Roland scares me; other than the smell, which has become gradually more potent, knowing he’s somewhere in the shed doesn’t bother me. It’s just I’m being terribly British and, although I know Mehmet’s right and there is a risk the rat could find its way into the electrics, I’m not keen on the cold-hearted killing of a living, breathing animal. Of course, that will probably have to change; Turkish culture doesn’t include a sentimental Disney tolerance of vermin and setting the trap is on today’s to do list. But, once it’s occupied by a furry little body, I know I’m going to have another decision to make – and, in a way, the outcome will be an indication or just how far away our old life in the UK has become. 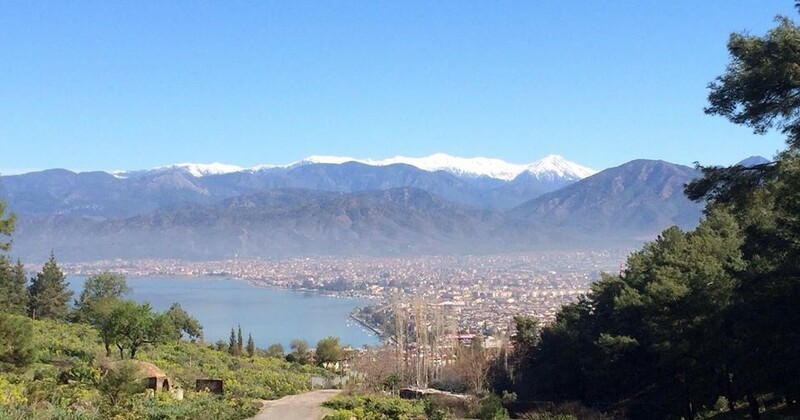 This entry was posted in General, Life challenges and tagged Fethiye, Kayaköy, life in Turkey, pest control, rat traps on September 2, 2014 by theparsleys. Why not get a cat? That will sort out the rat problems for sure and you help a stray who needs a home. We have two – and have since acquired two dogs as well. Rats last seen leaving with knotted hankie on a stick ..